We offer competitive and honest pricing with high-quality roofing materials and workmanship in Orillia, ON. 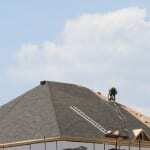 Choosing a roofing company to repair or replace the roof on your home or office isn’t an easy task. If you don’t know a lot about roofing materials and the process of repair or replacement, you might not know what questions to ask to make sure you get what you need. Most roofs in the Orillia, Ontario area are made of shingles, which are small squares of fibreglass that cover the entire top of the building. Fibreglass shingles are ideal because they are naturally fireproof and very durable against rain, snow, and other elements that we commonly experience in this area. When you are talking to a representative from a roofing company, be sure to ask the right questions. Most property owners choose to get several cost estimates to compare, but if you get one that is substantially lower than the others, try to find out why. This company might not insure its staff members, so if someone gets injured while on your property, the responsibility could fall on your shoulders to pay for medical bills and lost work time. Some companies also use very cheap materials that won’t last very long, which means you’ll have to have the roof replaced again soon after. When it comes to roofing, cheaper isn’t always better, and most experts in the industry believe that you get what you pay for. At Slippery Slope Roofing, we offer competitive and honest pricing with high-quality materials and workmanship for a roof that will last for years to come. Contact us today to request a quote!